The morning of the first started off wet but we have only had 38mm of rain during October. Looking at our neighbors this has allowed them all trouble and mess free maize harvesting and talking to Alan the contractor last week he only had 160 acres left to harvest for his customers. Alison the parlour engineer came last Friday and the parlour had a clean bill of health apart from a split in the rubber on one of the milk reciever jars in the dairy. 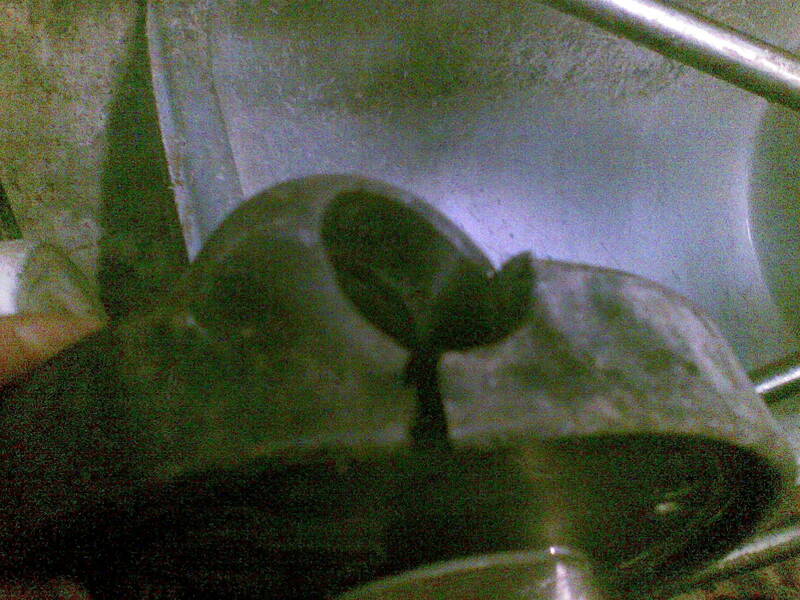 This was fixed with a stainless steel one from the now un-used parlour at Norcroft. Final touches to the cubical shed as I don’t think the cows will be outside for much longer now the spell of good weather has now broken. As in a conversation with a fellow farmer yesterday we both said we will pay for this mild spell as silage clamps are all VERY full this winter. Followers of this site will have noted my comments on our weather forcasting service and they predicted a hotter and drier than average summer. Grey and damp I would say the worrying thing is that now they are predicting a MILD winter. The 6th was the last night out in the fields for the cows the cubical shed is ready for winter and we turned the milking parlour round for winter use. The winter barley is all poking through and next move for that will be a spray of weedkiller and some slug pellets as the weather has now turned wetter just suiting slugs. 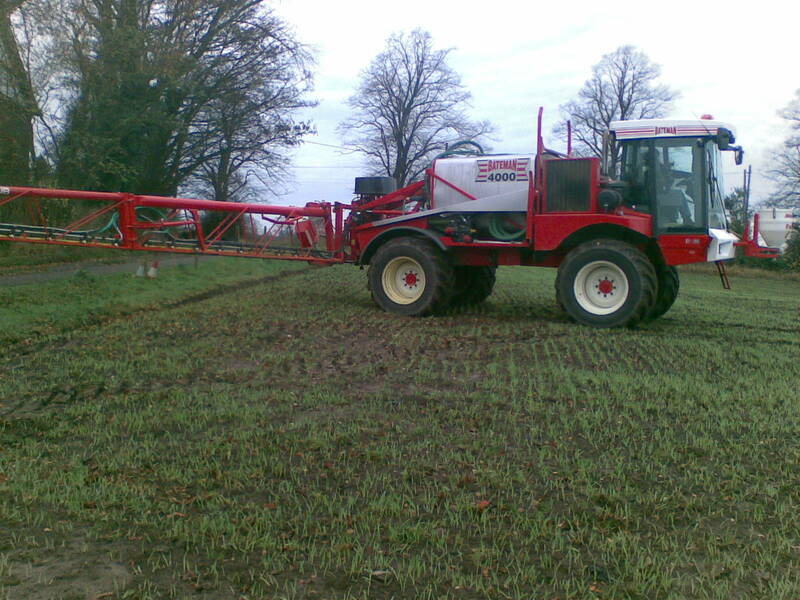 Enter Les the spraying contractor who sprayed the barley with a spray that should control the weeds during the winter and discourage the slugs. 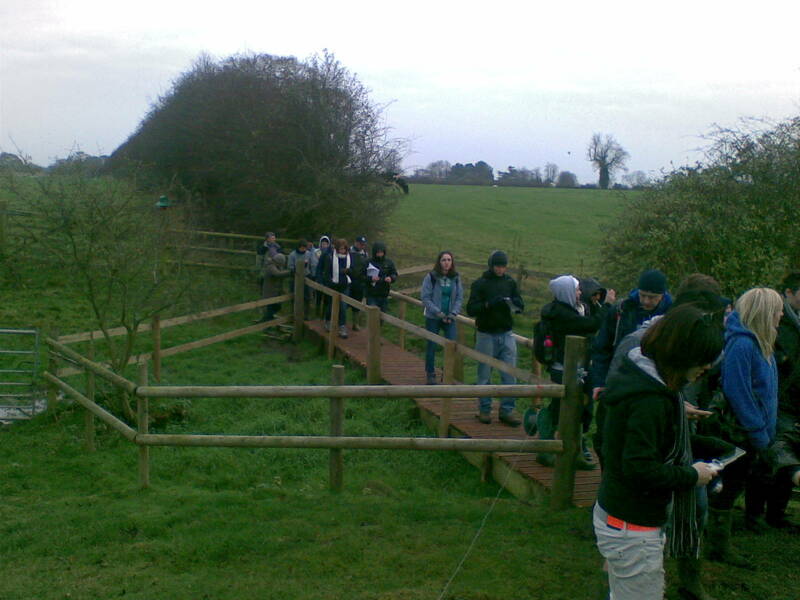 Manchester University made their annual visit and were first to fully use our completed footbridge as the picture shows. Our local shoot also seem happy with it as well This year Dorothy and I were invited to the annual dinner and presentation for the Cheshire County farms competition in this farmers are judged in various classes from best dairy herd best crop of potatoes and also our entry which was two classes Farming and wildlife in which we came in third place. I had also entered the roadshow in the diversification class and was not placed. However the judges had removed it from the class and put us in a new ( only created last year) class of farming ambassador. This was won last year by Dennis Parton a real Great in the NFU who has served the farming community on various national, regional and local committees and once Chairman Rob began describing this year’s winner I knew I had been set up. Given the calibre of my peers that enter this competition I am very humbled and honored to be the 2009 winner particularly to follow in footsteps such as Dennis. Back to the farm and we have started on a ceiling for the kitchen the initial idea was a suspended ceiling but we have now decided to go for a loft giving us a new farm office space as my aim for 2010 is to restore the old dairy from office and junk store to a 1940’s dairy complete with equipment to show to our visitors. 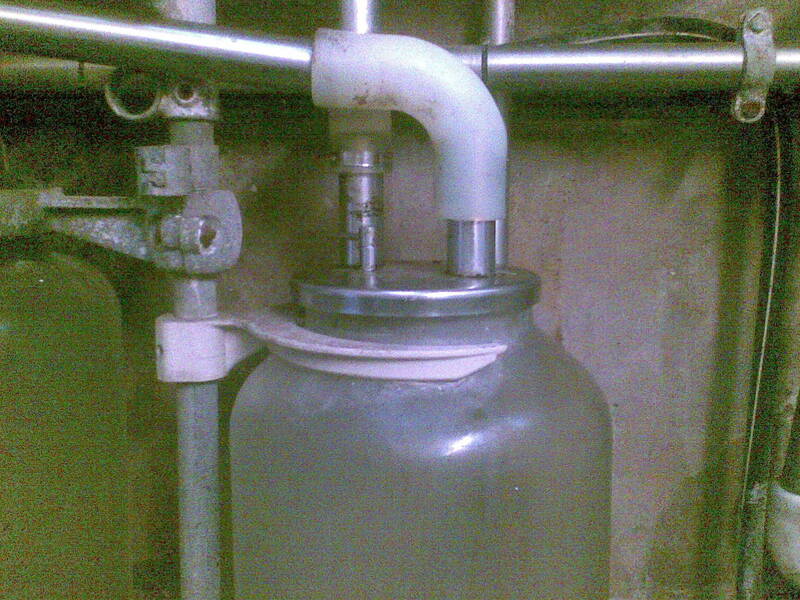 I’m currently looking for a milk bottle filler should anybody reading this have one in any condition please get in touch. After a wet start on the 18th and wet day the cows have stayed in. Straight away it has just been windy and is actually drying up again but for next few days forecast isn’t good. All the works experience team have been doing their mock GCSE exams this week so good luck lads. In the shed ( classroom) we have started to install the ceiling over the kitchen area. So far we have installed the stairs which might seem premature but they will give us a working platform when we fit the joists. They are currently christened the “Stairway to Heaven” and some wag has written ZOSO on them. More rain but so far the fields aren’t too wet and Andy is busy hedgecutting on the river meadows. My project today is new fuel filters on the 784 and empty the muckspreader and if I don’t make any ruts spread more. Tonight is back to the quiz see you soon PHIL.